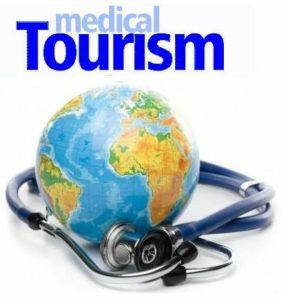 India has emerged as a primary location for Medical tourism. This remarkable growth in the industry can be attributed to the country’s fast-paced development in the medical sector. Access to pioneering medical technologies, methodologies and best practices has helped India garner recognition on a global scale. Despite being a developing country, our relentless effort to update ourselves in the field of medicine has resulted in fruitful achievements. Hair transplant among all has helped us earn the title as a haven for medical tourism. The total number of individuals who visit the country to avail the state-of-the-art treatment FUE hair transplant packages easily goes into upwards of a hundred thousand. One significant statistic that makes this possible is the reduced cost of treatment. All thanks to India’s competitive edge in the field of FUE hair transplant, the multitude of international patients who visit India end up becomingunofficial ambassadors of medical tourism in India. Not more than decade ago, the county had just begun its journey as a hotspot for research and development. The exponential grown that Indian medical industry has achieved in such a short period of time when compared to the rest of the world is truly a commendable feat. Most international patients when scouting for the best possible location to avail treatment back in the day would be distracted with skepticismbecause of the natural tendency to assume that with low-cost comes lower standards. But the presence of infrastructure and medical protocols that usually exist in developed countries has helped address the skepticism. Most importantly, today, an overseas patient can plan treatment visits over a weekend because of the reduced waiting and treatment times. Reviva clinic is a frontrunner of this trend in FUE hair transplant in India. The brainchild of Dr.PrabdeepSohi, Reviva Clinic is the exemplar of this new found image of India. At Reviva Clinic we follow a holistic approach to hair transplant treatment. The primary focus lies on the comfort of our patients. Our facilities are designed to make our patients feel at home with the option to choose from cuisines, quality of stay and music. We believe that our organization culture should be the embodiment of what hair transplant treatment should be and we wish for this to be the first thing our patients notice about us. Allowing our patients the leverage to plan their trips down to perfection, we intend to continue to be a world-class experience for all of our visitors. Amritsar: You can visit the iconic Golden Temple in Amritsar,just 230 km north-west from Chandigarh that wasfounded about four and a half centuries ago. Shimla: Situated 7,238 feet above mean sea level, Shimla was British Rule period summer capital of the country and is just 113 km north-east of Chandigarh. Dehradun: Located in the Himalayan foothills, Dehradun is known for its mild climate and a breathtaking landscape is less than 200 km away from Chandigarh. At Reviva clinic we believe in creating a relationship with our patients, one that can last a lifetime. A medical procedure need not be stressful, complex and confusing. Reach out to us today and our team of medical professionals shall help you receive the experience that you deserve!